Are we getting close to a multiple sclerosis cure? More than 2.3 million people worldwide have multiple sclerosis (MS), a disease that interrupts the circuitry between the brain and the body. It usually strikes young adults. At the moment, the disease can be managed but not cured. Current treatments for MS can reduce new damage to the brain, but the person with the disease is left with the damage it has already caused. Reversing the damage could mean a cure, or something close to it. It's the Holy Grail of MS researchers and it may be a step closer to discovery. Phase I clinical trials of a new drug have just been completed on human subjects, demonstrating that a new drug, called anti-LINGI-1, is safe and has no serious side effects. More important, testing done so far suggests it may reverse the nerve damage caused by MS. 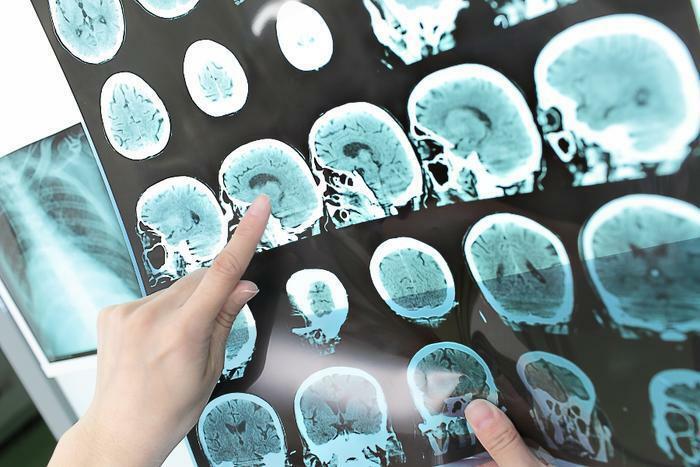 When someone has MS, the body’s immune system begins to attack myelin, a substance in the body that forms insulation around the nerves in the central nervous system. When this insulation is damaged, so are the nerves, making it more difficult for the them to send messages to and from the brain and spinal cord. Studies with animals showed that anti-LINGO-1, also called BIIB033, may be able to reverse the demyelination of the nerves. It works by blocking LINGO-1, a central nervous system protein that prevents myelination. The Phase I trials showed the drug is safe for humans. That's a big step forward but there is an even bigger one waiting in the Phase II trials. Researchers now have to see if they can achieve the same positive results they got with animals in humans. If they can, an MS breakthrough could be close at hand. “With these results we have been able to start phase II studies to see whether this drug can actually repair the lost myelin in humans and have any effect on restoring physical and cognitive function and improving disability,” said study author Diego Cadavid, MD, of Biogen Idec in Cambridge, Mass., which developed the drug. But anti-LINGO-1 is not the only promising treatment in development. At a conference in May, MS researchers presented several different studies which give them hope. Two studies suggested that the compound IRX4204 may reduce immune responses and promote myelin repair. Researchers said if these early-stage lab studies hold up in further research, this has the potential to both stop immune responses that lead to nervous system damage and also repair what has been lost. There are also a number of promising stem cell studies aimed at treating progressive MS.
A Harvard study is exploring whether a high-salt diet or gut bacteria contribute to causing MS or making it progressively worse. An innovative nervous system repair project in France is looking at the potential of using a person’s own adult stem cells as “spare parts” for repairing the brain. And a University of Washington wellness study is looking at how changes in quality of life influence the disease's progression. All of this research has been building on the investment of millions of dollars over the years in finding a cure for MS. Earlier this year the National MS Society committed an additional $29 million to support an expected 83 new MS research projects. The objective, according to the Society, is stopping MS, restoring function that has been lost, and ending the disease, period.